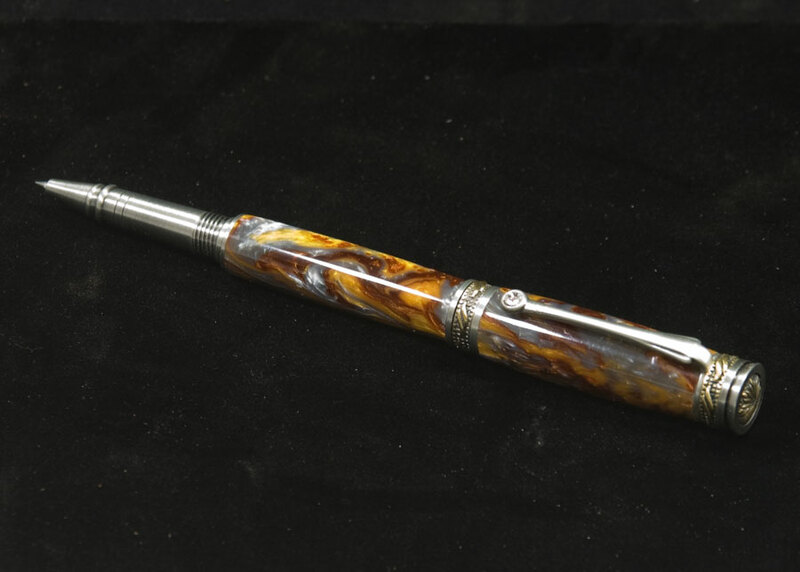 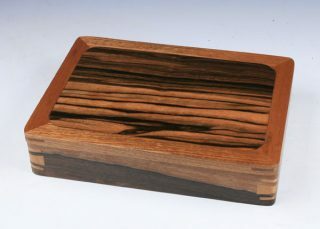 You cannot add "* BIG BEN CIGAR PEN-COCOBOLO" to the cart because the product is out of stock. 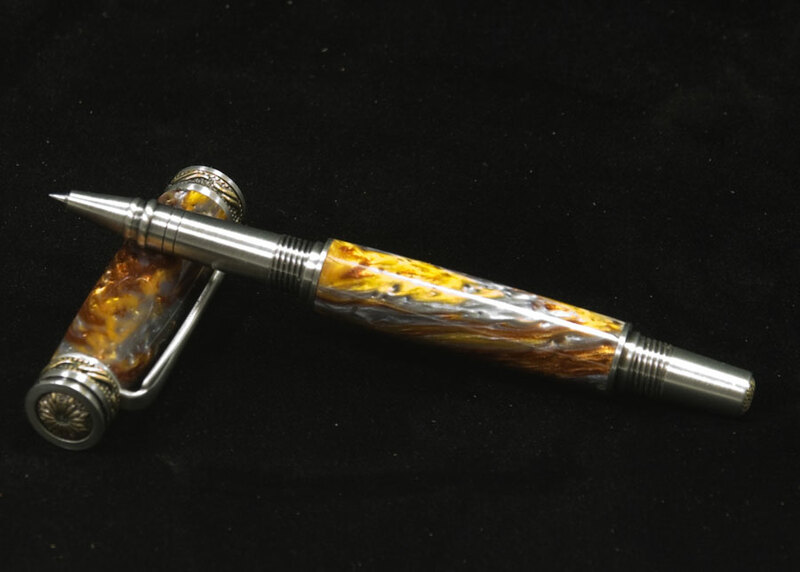 This slimmed down version of our popular Majestic Pen has all of the features and qualities of the original Majestic Pen line but in a sleeker and more slender design. 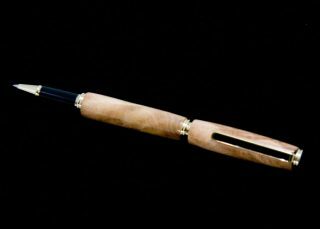 Ideal for those who want a smaller but truly elegant writing instrument. 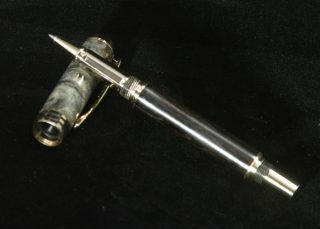 All Majestic Jr. pens feature the ability post the cap onto the pen body for writing and storage convenience. 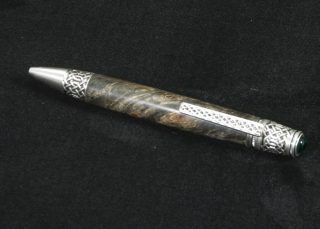 The Majestic Jr. Rollerball Pen Kit includes many remarkable features including: A rhodium-plated clip that includes a sparkling Swarovski clear crystal; All exposed accent rings, bands and caps include elegant custom hand-carved 3 dimensional designs; The two tone Antique Pewter and Antique Brass provies an authentic patina and natural darkening that brings out all the wonderful details and creates a unique feel and charm all its own; Its regal profile is accented with brilliant rhodium-plating on all components and has a flawless fit and finish; The rollerball assembly includes a rhodium-plated pen nib with a premium Schmidt steel cartridge refill with a ceramic point; The finished project is complimented with superb balance, superior writing characteristics and an overall stylish, polished & elegant appearance. 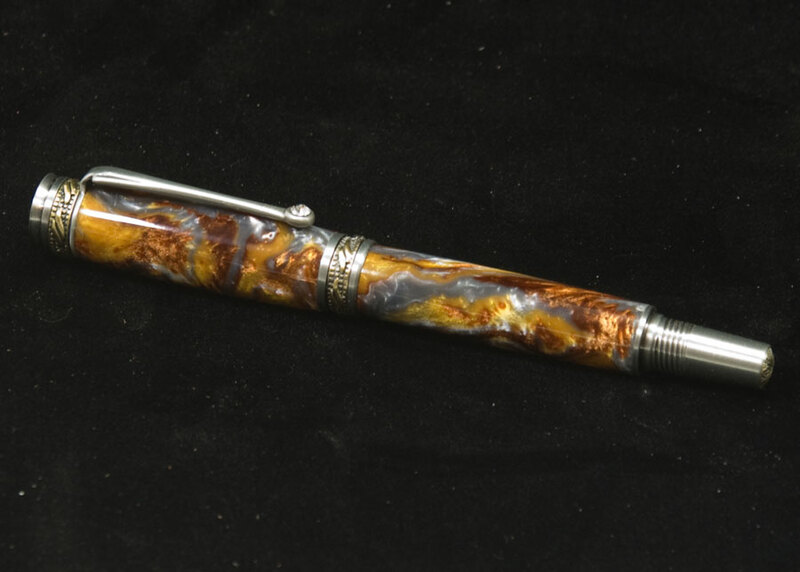 Pen body hand crafted from inlace acrylester.